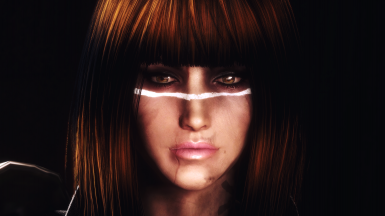 Just to be sure, you need only the IDA Body Texture and from Valkyr the Face Textures. What is needet for which Version is listed in the Description of the Mod. Everything else that is needet is listed detailed on the Description Page. So apparently some People have white Hair, the Haircolor is called Near Sun 5 and its the original one. 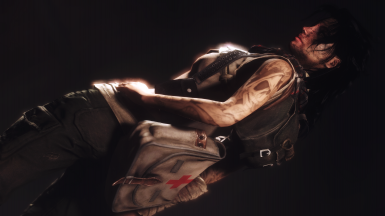 Soon there will be some more Screens with the white Hair, and if some People demand it i will release an Optional File later this Day with the Brown Hair. No Problem, dont panic. Both Version for Synth Hunter Heather are up! White Hair and Brown Hair! Cheers! Maybe already answered, but where do I get the clothing in pictures please? Well the both version look very very very ugly on my char. First I was thinking i miss some mod requirements, but no. When I check other people screenshots.....my doubts have disappeared. I am loving this mod. Awesome job. Thanks. I installed all the things and even tried using the looks menu presets and mine come out looking like crap. I even went as far as killing my game and starting over just to see if I broke my game. It seems like all the faces look off then whats in the screen shots. 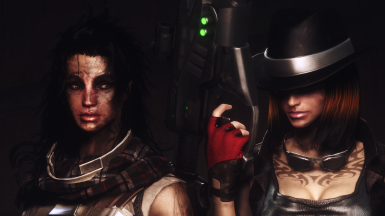 Can't seem to get this working, I've tried both versions but Heather just stays her boring self. Reinstalled a couple times ( Heather companion mod also ) any ideas on what i could be doing wrong? 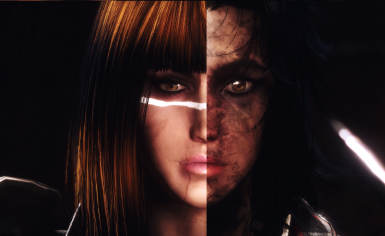 I'm gonne try using your LooksmenuPreset and change them myself. Gotta say, I love your Synth Hunter version of Heather. But, one question. What is she wearing in your screenshots? I really want it. Many thanks to the author for the wonderful creations and great screenshots! Guys please tell me how to make animations on the face of the character,as in the screenshot number 9.Maybe it needs a console and commands?I will be grateful to those who will help! Another question-how to tilt the camera in the game as in the screenshots? The tilting i think is a plugin, but u need to ask victoria G for that. OK I will try to ask the author of screenshots.Thanks for your help! Ok. ...eh...any advice how to do it? 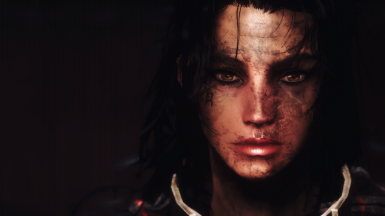 Never used FO4 Edit.... and where do I find the FO4 Edit? 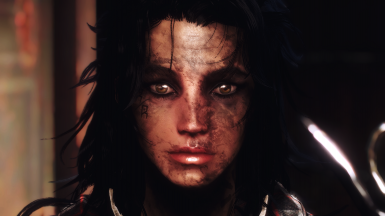 Hey, I'm using the Synth Hunter version and wanted to know if you could clea up the face and lighten up the complexion to match the rest of the body. It looks weird right now. A version without the synth eyes would be appreciated, too. You can download AFT amazing follower tweaks and use the sculpt feature and remove the dirt ingame via the character creation menu :) Pls tell if this helped you! She cannot be managed by AFT. Not only does it break her AI, but the option to manage her isn't even there. I just ended up using slm on her. The changes seem to persist through saves and cell changes thus far. 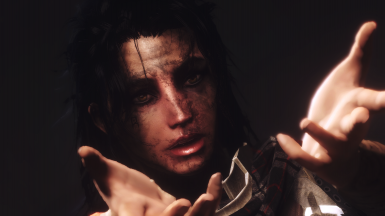 Is there a chance something in this mod can make Heather invulnerable, even after uninstall? How to make screenshots like this? I really like them and I want to make my own!